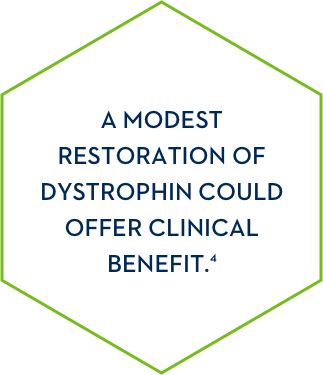 DYSTROPHIN PLAYS A CRUCIAL ROLE IN MUSCLE FUNCTION. MUTATIONS, INCLUDING EXON DELETIONS, PREVENT DYSTROPHIN PRODUCTION. 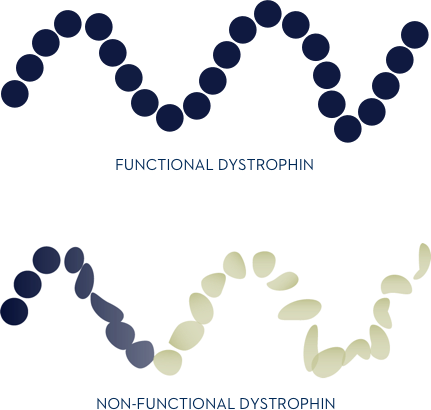 HOW DOES LIMITED DYSTROPHIN PRODUCTION AFFECT DMD? Aartsma-Rus A, Ginjaar IB, Bushby K. The importance of genetic testing for Duchenne muscular dystrophy. J Med Genet. 2016;0:1-7. Allen DG, Whitehead NP, Froehner SC. 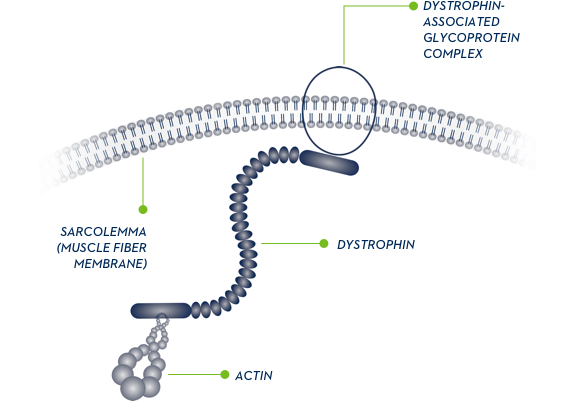 Absence of dystrophin disrupts skeletal muscle signaling: roles of ca2+, reactive oxygen species, and nitric oxide in the development of muscular dystrophy. Physical Rev. 2016;96:253-305. Bello L, Morgenroth LP, Gordish-Dressman H, et al. 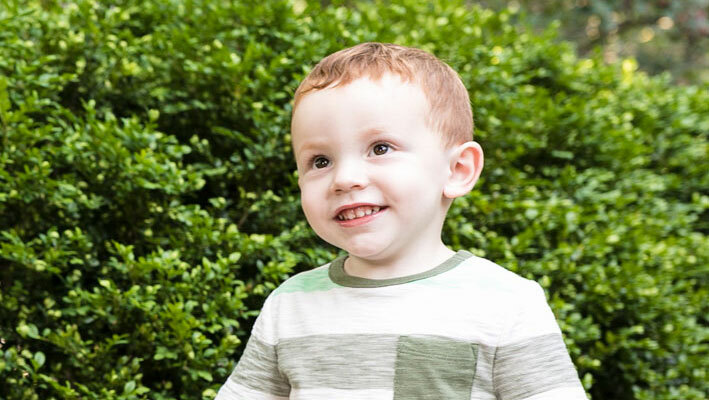 DMD genotypes and loss of ambulation in the CINRG Duchenne Natural History Study. Neurology. 2016; 87:401-409. Dwianingsih EK, Malueka RG, Nishida A, et al. A novel splicing silencer generated by DMD exon 45 deletion junction could explain upstream exon 44 skipping that modifies dystrophinopathy. J. Hum. Genet. 2014; 59:423-429.